Based in Nowra, The Shoalhaven AWL NSW is a sub-branch of Animal Welfare League NSW. Our small branch of dedicated volunteers conduct many activities including rehoming companion animals and running discount desexing programs in the Shoalhaven area. 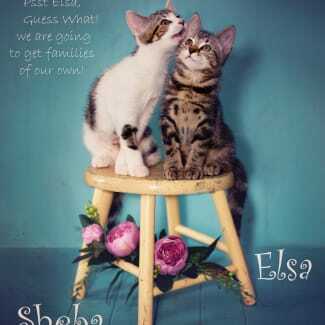 Named after leopards these two adorable little boys are also ready to go to their new homes. Snow is the more chilled of the pair. 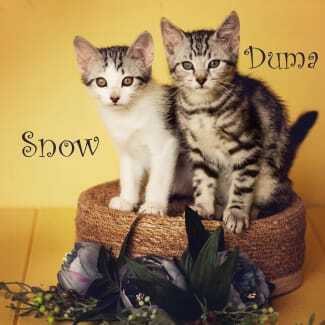 He is super affectionate and loves to be cuddled while his brother Duma is a playful little man who loves his toys. Both of the kittens have been desexed and microchipped, have had their first vaccination and have been wormed and flea treated. They are all ready to go to new homes. These two are very sweet and full of fun. They are desexed, microchipped and have had their first vaccination. 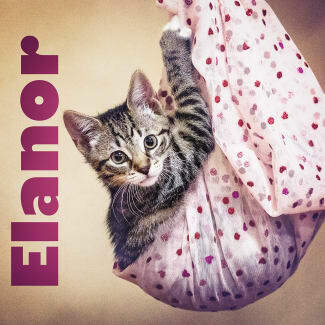 Elanor is one of four kittens that came into foster care at just 2 1/2 weeks old. They were so tiny and with their little striped markings looked just like little chipmunks so that’s where the names came from. 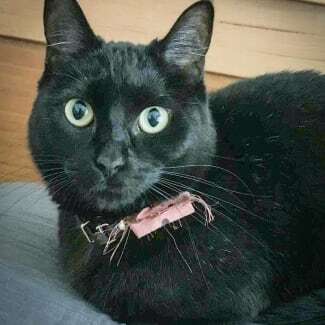 All four have been brought up in a family home with other cats and just love being played with and then cuddling up on you for a sleep when they tire themselves out. The kittens will all be desexed next week and have had their first vaccination and will be ready for new homes around 26th January. 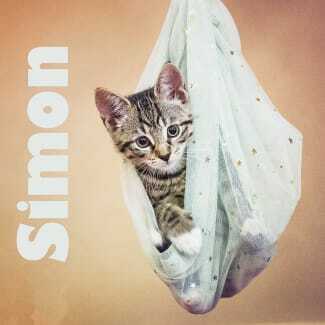 Simon is one of four kittens that came into foster care at just 2 1/2 weeks old. They were so tiny and with their little striped markings looked just like little chipmunks so that’s where the names came from. All four have been brought up in a family home with other cats and just love being played with and then cuddling up on you for a sleep when they tire themselves out. The kittens will all be desexed next week and have had their first vaccination and will be ready for new homes around 26th January.